"Is there a DVR for streaming video?" A common question with a complicated answer. One question I often get about cord cutting is whether it’s possible to record streaming video, like you can with cable or over-the-air television. This might seem like a straightforward question, but the answer is complicated. Some streaming services do offer DVR, but with restrictions that don’t apply to cable. Others, such as Netflix, don’t allow you to record shows, but offer all their content on demand anyway. And while a workaround exists for streaming services that don’t offer DVR, this brings its own set of trade-offs. If we’re talking about live TV streaming services—that is, those that provide a bundle of cable channels over the internet—then yes, DVR is available with all of them. Instead of saving shows to your device, these services store their recordings in the cloud, so you can access them from anywhere. Still, not all services have the same idea of what an online DVR should be. Sling TV, Hulu with Live TV, and FuboTV all take an approach that’s similar to cable: You get a certain number of recording hours, and those recordings are stored indefinitely. Sling TV (which charges $5 per month extra for its DVR) and Hulu each provide 50 hours of recording time, while Fubo provides 30 hours. You can also upgrade Hulu’s DVR to 200 hours for $15 per month, and FuboTV to 500 hours for $10 per month. YouTube TV, PlayStation Vue, and Philo approach streaming DVR differently. They allow you to record a practically unlimited number of programs, but you can only store them for a limited time. YouTube TV saves shows the longest, at nine months, while PlayStation Vue and Philo store programs for 28 days and 30 days respectively. Live TV streaming services such as DirecTV Now all offer cloud-based DVRs. Still, DirecTV Now doesn’t restrict which channels you can record or which ads you can skip. By comparison, YouTube TV doesn’t allow ad skipping if an on-demand version of the show is already available, and Hulu has a similar restriction unless you pay for the expanded DVR service. Sling TV doesn’t allow recording of ESPN or other Disney-owned channels, and some users have reported ad-skipping restrictions with certain PlayStation Vue channels. Why is this so complicated? TV rights for streaming video are different from cable, and so each TV provider must negotiate the terms of their DVRs with individual networks. As a result, each provider has chosen different trade-offs based on the kind of service they want to build. Outside of those live TV services, DVR generally isn’t available. You’re not allowed to record shows from Netflix, Amazon Prime Video, or Hulu’s on-demand service, for instance, and if you download apps from individual networks such as NBC and Fox, you won’t be able to record those programs, either. In theory, DVR shouldn’t be necessary with these services, because all their programming is available on demand. Netflix and Amazon Prime also support downloading videos to your phone or tablet for offline viewing, and many services offer their own watchlists that approximate the organizational aspects of a cable DVR. 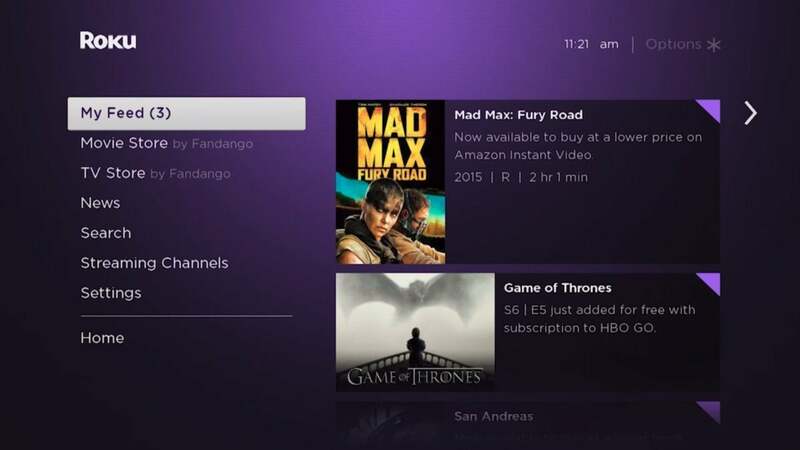 If you have a Roku or Apple TV, these devices also have their own watchlist features that can track shows across multiple streaming services. 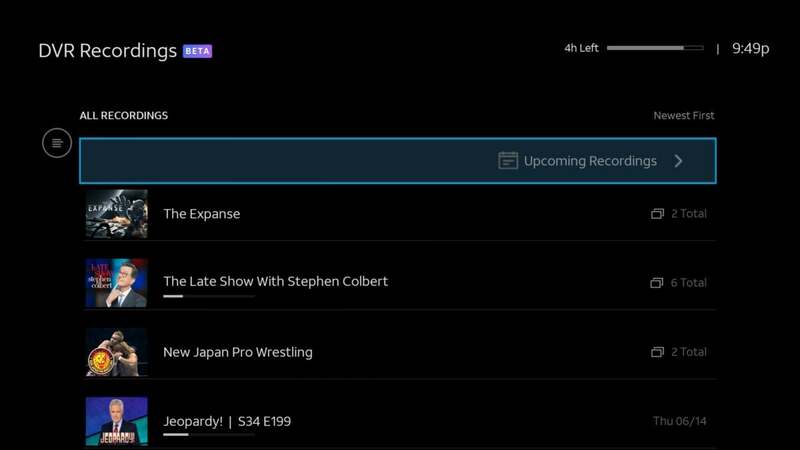 The “My Feed” feature on Roku players tells you when new episodes of your shows arrive—sort of like a DVR would. But in reality, there are still times where a proper DVR for Netflix and other standalone services might be helpful. You might, for example, want to skip the commercials in an ad-supported video, download a TV show in an app that doesn’t support offline viewing, save a program that’s about to be removed from one of your streaming services, or avoid buffering during busy periods by storing videos offline. One workaround for this is PlayOn, a Windows program (currently $30) that creates a local copy of videos from online sources. You can then transfer the video file to other devices, or stream it to other devices in your home over Wi-Fi. If you use Plex to record and watch over-the-air broadcasts, you can even have Plex serve files from your PlayOn folder, so that all your recordings are available through a single app. 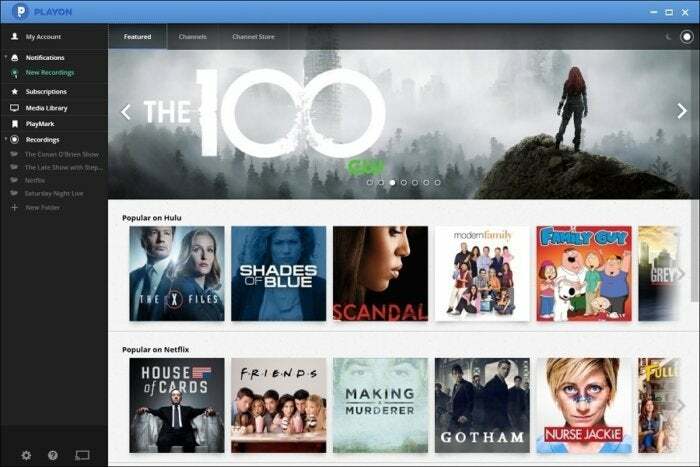 PlayOn’s Windows software can record shows from streaming services such as Netflix. Like the practice of password sharing, PlayOn operates in a moral and legal gray area. 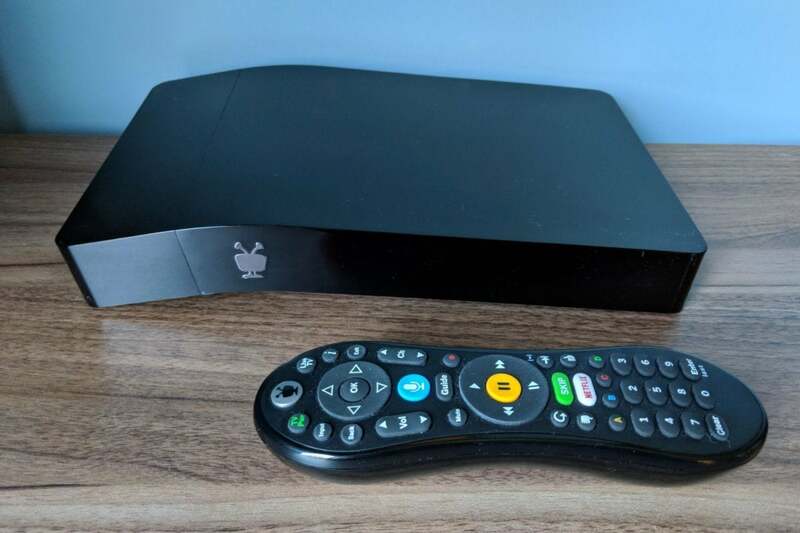 Its creators argue that they’re protected by the same statutes that allow cable DVRs and VCRs to exist, which may explain why PlayOn has been around for more than a decade. Still, streaming services such as Netflix don’t allow copying videos in their terms of service, and they have licensing agreements with content providers that forbid the practice. The bigger catch with PlayOn might be the software itself. While it does work most of the time, in some cases videos can fail to record properly or at all. And to use PlayOn in the first place, you must have Microsoft Silverlight and Adobe Flash installed on your computer. Both of those plugins are becoming obsolete, and have been prone to security vulnerabilities in the past. If you’re looking for a single, all-encompassing DVR that covers everything you might want to watch online, no solution exists. Such is life in the world of online video, where nothing is neat and orderly, but interesting options are everywhere.